Amid the growth of globalized trade, mass production, immigration and urban slums that dominated the period from the 1880s to the onset of the First World War, an awakening was taking place among American and British women. Across the Atlantic and across political boundaries—anarchists to liberals, feminists and non-feminists—female pioneers shared a sense that social change was possible, and acted upon that belief. Dreamers of a New Day explores a period, from the belle époque to the roaring twenties, when women overturned social norms and assumptions as they struggled to define themselves as individuals. Forming broad coalitions and movements, they transformed the conditions of their own lives, decades before the intellectuals of the 1960s conceptualized “everyday life” as an arena for radical activity. 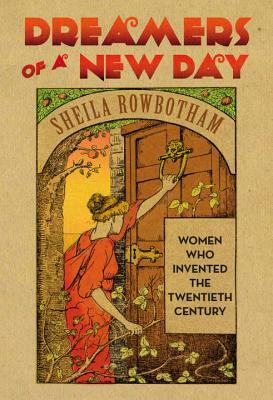 Drawing on a wealth of original research, Sheila Rowbotham has written a groundbreaking new history examining how women came to be modern. Challenging existing conceptions of citizenship and culture, from ethical living to consumerism, sexuality to democracy, these dreamers shaped many of the issues that remain at the forefront of twenty-first-century life. Sheila Rowbotham is Honorary Research Fellow in Sociology in the School of Social Sciences within the Faculty of Humanities at Manchester University and Visiting Fellow in the School of Sociology, Politics and International Studies at the University of Bristol. She is also a Fellow of the Royal Society of Arts. Her many books include the James Tait Black-shortlisted "Edward Carpenter: A Life of Liberty and Love," "A Century of Women: The History of Women in Britain and the United States in the Twentieth Century," "Promise Of A Dream: Remembering the Sixties," and "Dreamers of a New Day: Women Who Invented the Twentieth Century." She has written for, among other newspapers, the "Guardian, The Times, The Independent, New Statesman," and "The New York Times." She lives in Manchester.